I live in... Toronto, Ontario Canada. Toronto has been amazingly supportive to new artists and I find many places to play. I love playing the Mod Club and the Revelie. This song is all about finding personal empowerment within rejection. I drew from a lot of personal experiences where I was let down, but then I was shown what a blessing that was. We can't always understand and see the full picture of the situations we're in, that's the spontaneity of life, but understanding that everything really does happen for a reason and for our own highest good gives us our power back. The most true and honest expression of my soul. I had to break through a lot of fear to get where I am now as a song writer and singer, I really had to take the time and get to know myself at a soul level in order for my work to grow. I had to realize that I can't make music based on what sounds and topics were popular. As much as I wanted to fit in with what has been current here in Toronto, staying true to my soul and listening to that was more important to me. I believe my music is more than just music and I'm excited to see where this is all leading me. This release comes after a very introspective and soul searching couple of years for me. I explored parts of myself I hadn't met yet or paid attention to and what I discovered is what became this album. I titled this EP "OK COOL" after its introspective nature, it's about accepting myself fully and where I currently was on my journey and being completely okay with everything. Best Thing is a very important part of my story, I was just rediscovering who I was all over again when it was written. It was the first new song my producer Mike Schlosser and I wrote after my last EP release. To be honest I wasn't sure it was going to make this album, but writing this song really set the tone for all of the others. Once we had the album together I knew my music was forever changed, it had documented the tremendous growth I had experienced and was the true beginning of discovering my place here as an artist. Stay true to who you are. I know it may sound cheesy but you honestly have to make the music YOU want to make. It's art, its an expression of your soul so it has to be authentic or else, what's the point? Music is so special and so crucial, I must be free and express myself freely through my art so that someone out there listening can be inspired to live freely as well. 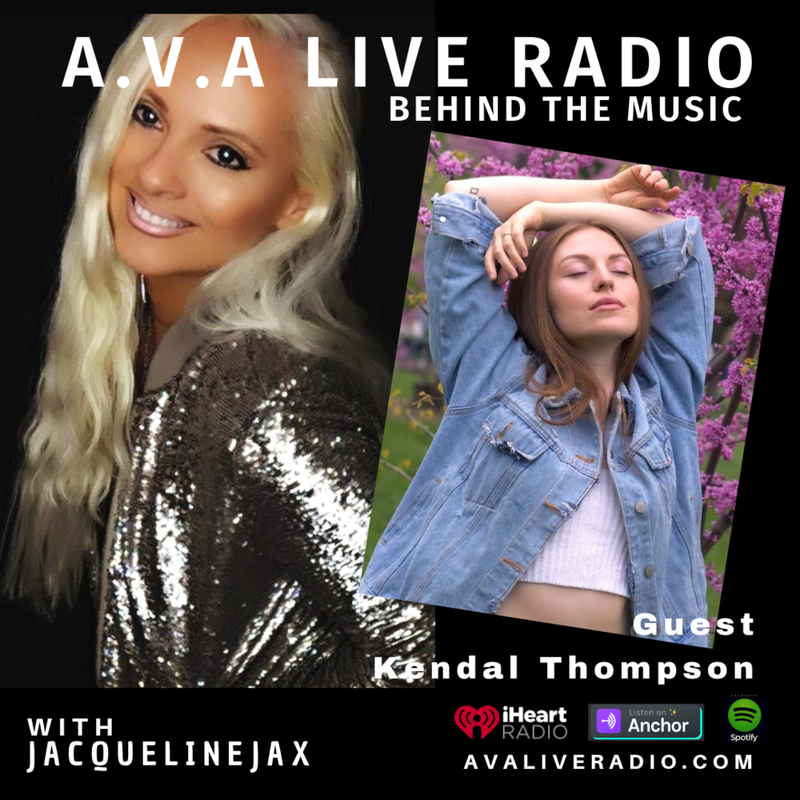 Behind The Music with Kendal Thompson on 'Best Thing' with host Jacqueline Jax. Kendal speaks to Jacqueline Jax about her New Album ‘OK COOL’ and first single ‘Best Thing’. The new video coming up and a mini tour around southern Ontario. Topics: The perception of entertaining through live streams as compared to live venues. How she got started in music playing venues around Toronto making forward moves with her producer to improve her music brand and songwriting skills. Choosing which social media pages to focus on as a professional musician and how to draw more attention to a single. @avaliveradio this is awesome ! We absolutely love your style ! I love this 🙏 well done. So true, go for it. Hello how you doing I just wanna let you know that you are a Queen 👸🔥🔥🔥🔥🔥❤️❤️❤️ Love you. @songwriting_pro sweet ok 😍😍😍 Good stuff. A beautiful voice and lovely energy. Kendal is an artist to keep an eye on. She fills the room when you play her music. When things come together though, it's amazing to watch it work. well done. I liked your photos :) Greetings from other side of the world 😊 We are watching and listening. Awesome production skills!!! I’ll keep my eyes on you. 👍 Keep it up. This is really special. cool. i love the sound and lyrics.